Rachel Tippett is planting the seeds for sustainable growth in Toledo and Lucas County! Rachel was born and raised in Toledo and is excited to work in the community that has given her so much. She grew up visiting Toledo’s Metroparks and the Maumee River, and consequently, developed a love for Northwest Ohio’s natural beauty. Rachel serves with the Toledo-Lucas County Sustainability Commission (TLCSC), where she promotes green living, sustainable development, and neighborhood vitality. 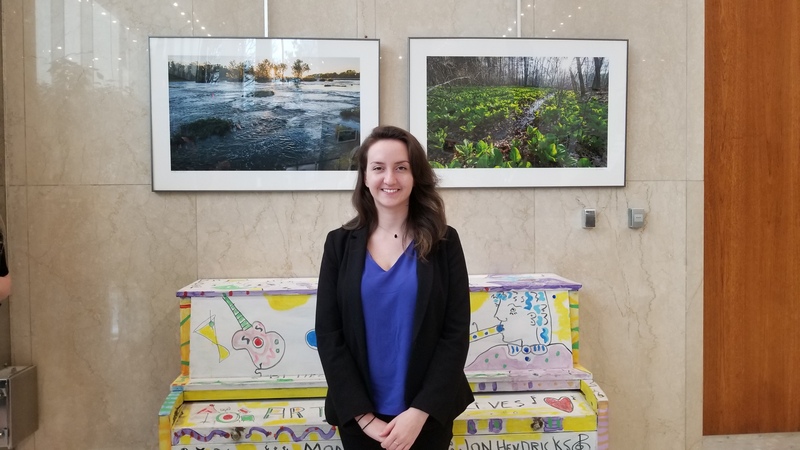 Since the beginning of her LISC AmeriCorps service, Rachel has educated the public about sustainable practices, organized community events and programs, and promoted sustainable practices. In addition to creating marketing materials for the TLCSC, she has also created green resources for the community, including the Zero Waste Event Guide. Rachel is currently in the process of developing Sustainability Report Cards that track Toledo and Lucas County’s progress according to social, economic, and environmental factors. The Toledo-Lucas County Sustainability Report Cards should be revealed to the public this fall. Rachel believes that healthy communities begin with healthy environments. At a young age, Rachel developed a passion for community service that lasted her through college and into her current service with AmeriCorps. She graduated in 2017 with a bachelor’s degree in Community Based Public Health. In the future, Rachel hopes to continue enhancing communities by making them more healthy, vibrant, and sustainable.